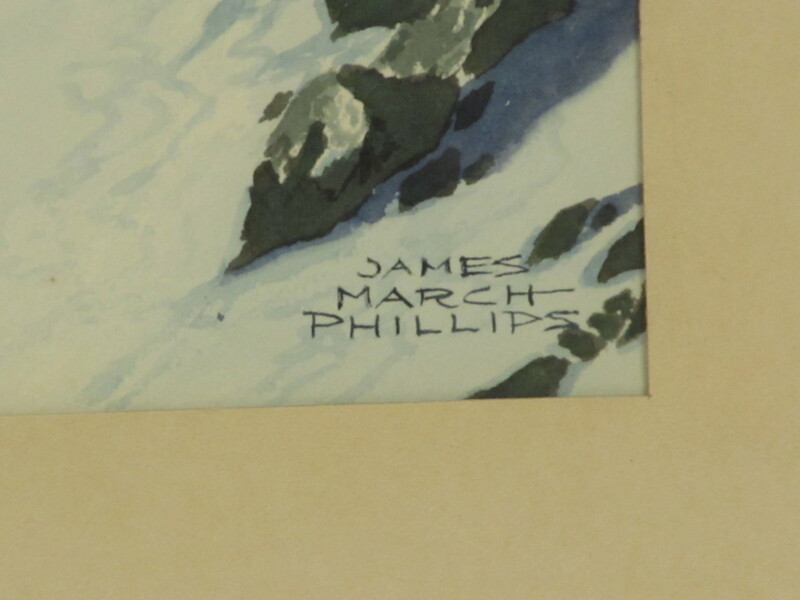 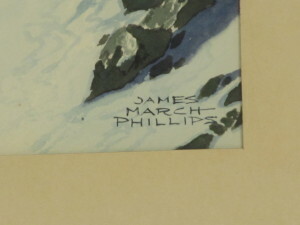 A terrific, etherial landscape watercolor by listed California watercolorist James March Phillips (1913 – 1981). 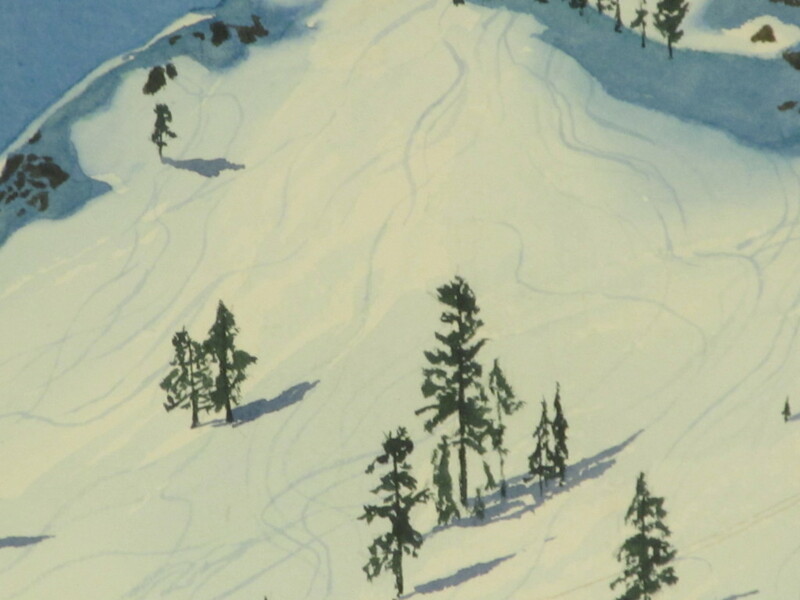 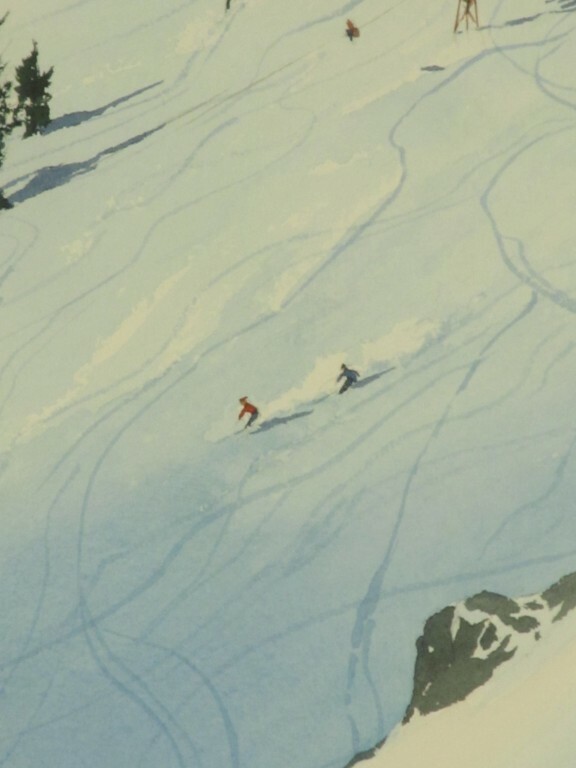 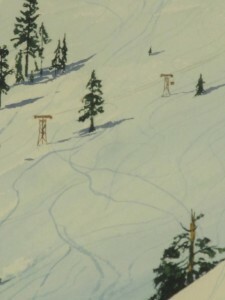 Besides capturing the movement of the skiers and the atmosphere of the mountain, it also captures an early stage of the resort at Squaw. 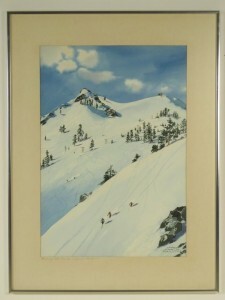 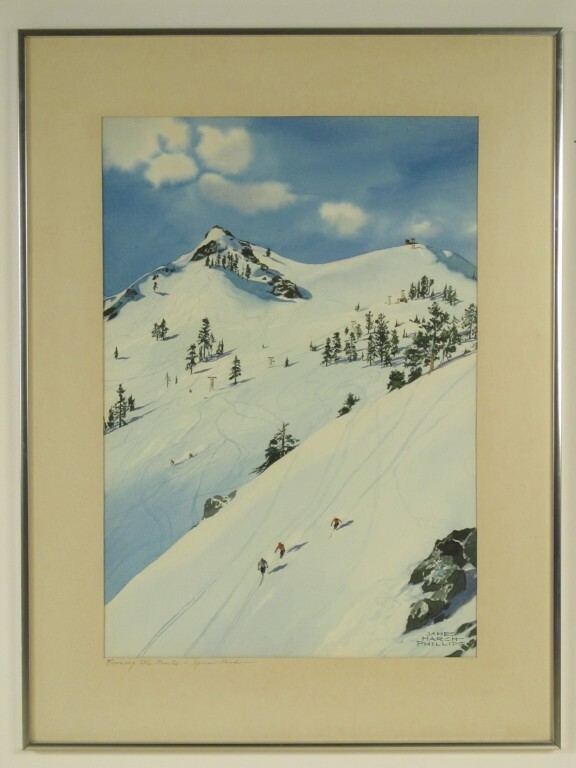 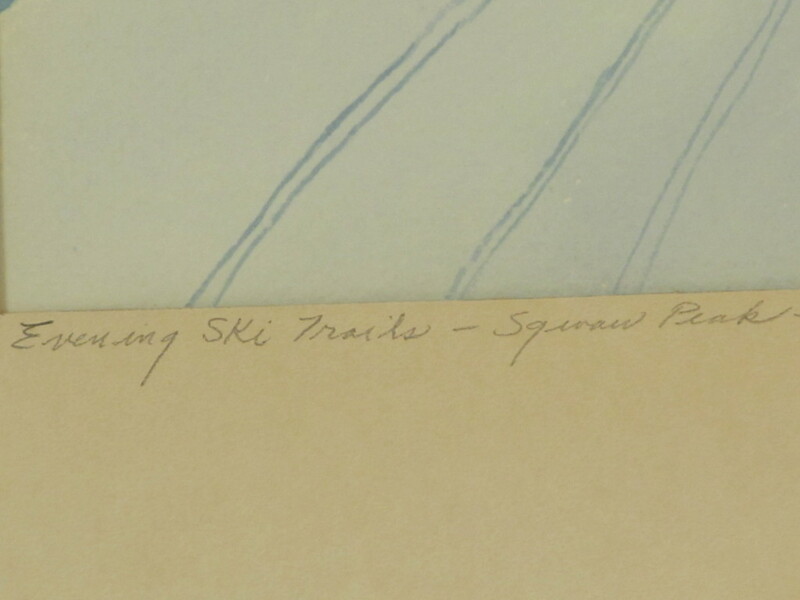 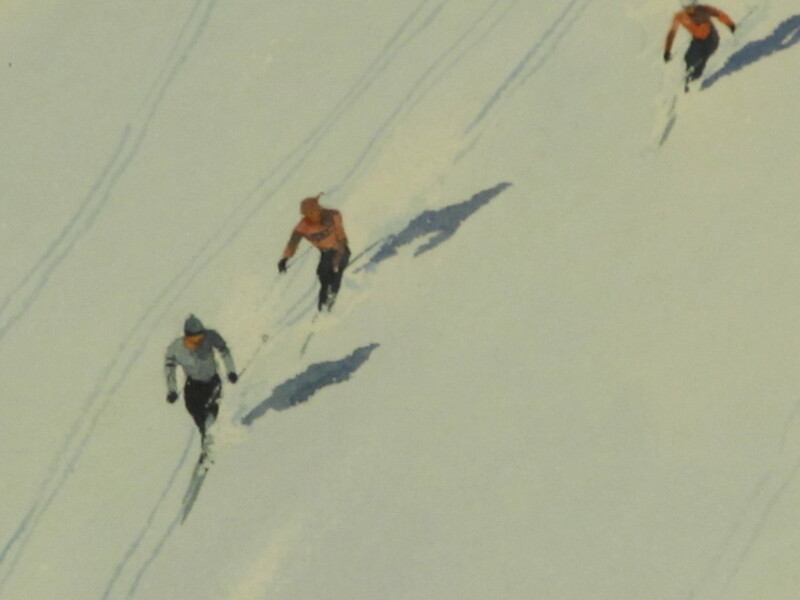 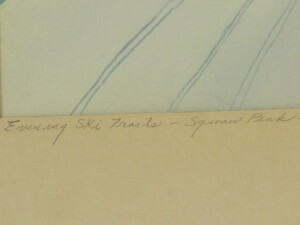 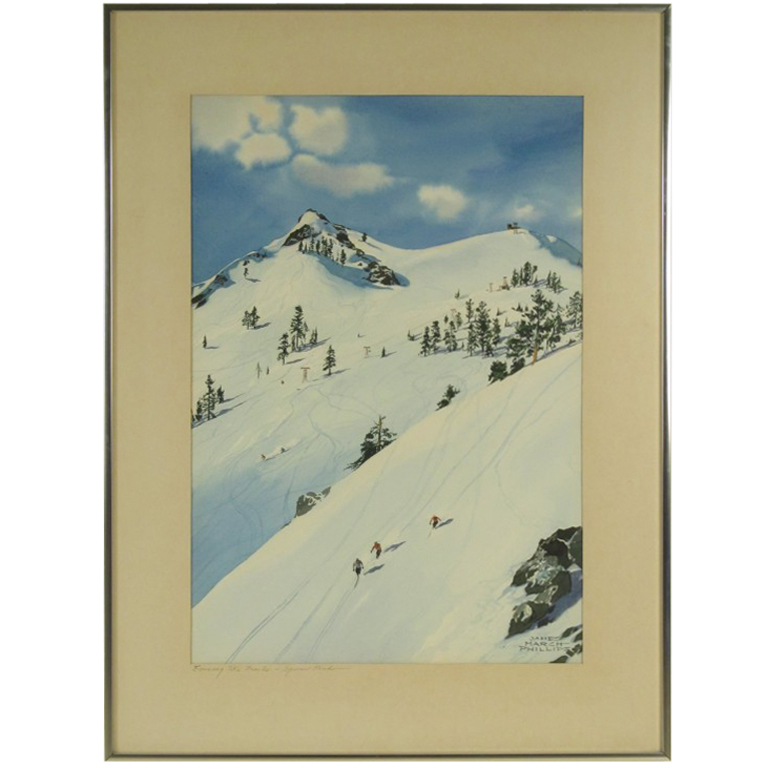 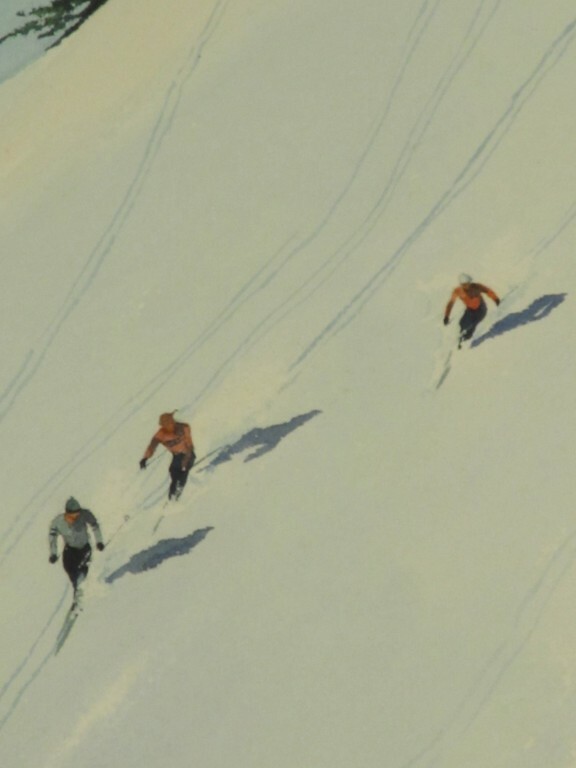 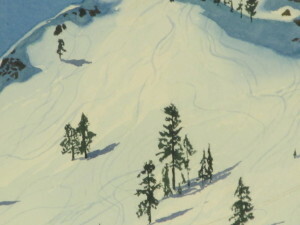 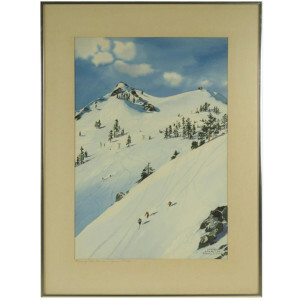 Titled “Evening Ski Trails – Squaw Peak’ in pencil on the mat. 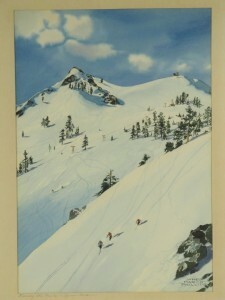 Inside mat is 21″ x 14.5″.